Global technology and business services giant Vertex will establish its Asia Pacific Headquarters in Melbourne and expand its operations in the information and communications technology sector, creating 400 Victorian jobs. Vertex Australia has decided on Ballarat as the city to invest up to $11.5 million to establish the Ballarat Technical and Customer Support Centre. Victorian Premier John Brumby said that the new Vertex facility brings the number of Victorian IT jobs created in 2010 up to 2400. “Victoria is the job-creating capital of Australia, generating more than 118,000 jobs since the start of the Global Financial Crisis two years ago,” Mr Brumby said. The Asia Pacific headquarters will provide IT and business services to multinational companies in addition to a variety of services from IT technical support, sales and marketing campaigns, project management and customer service. Vertex supports 45 million consumers globally and operates across a wide range of market sectors and geographies delivering customer management and client based services. Phil Allan, Vertex’s Asia-Pacific chief executive officer, said that the new facility will allow the company to take advantage of local talent and extend its global reach. “Vertex is in an excellent position to capitalize on the opportunities offered in the Asia Pacific market and this investment in our new facility will enable us to recruit the talented people we need take advantage of this opportunity and further extend the company’s global reach,” Mr. Allan said. Minister for Information and Communications Technology John Lenders said Vertex announcement demonstrates Victoria’s potential growth in ICT sector and threw his support behind the National Broadband Network. “We are clearly Australia’s ICT leader and this announcement demonstrates that Victoria has the best skills, infrastructure and economy for business investment and we are proud to help create thousands of Victorian jobs,” Mr. Lenders said. Ronan Keating is moving to Australia. The Irish singer will be one of the panels of judges in the upcoming Australian X Factor. The Boyzone star is very excited about the new reality TV show and will join Natalie Imbruglia, former Australian Idol sensation Guy Sebastian and Sydney radio shock-jock Kyle Sandilands on the panel. The decision to relocate to Australia for ‘The X Factor’ was easy for Keating. “I’ve spent a lot of time in Australia over the years and I have been lucky enough to meet a lot of Australian artists and have been impressed with their talent, so I believe we can not only find the best star in Australia but an international star. Kylie, Natalie, Delta & INXS are some of my favorite Australian musicians. I grew up listening to INXS; Michael Hutchence was part of my make up as an artist and I always admired Michael’s style and talent. Kylie is dedicated, hardworking and a very free spirit – all the qualities you need to be a star. I know I can teach the acts in my category how life really is in the music industry, how to take their talent and communicate it and take it to an international level. I’ll be very competitive on their behalf; if I champion someone and believe in something I want to take it all the way and I absolutely intend to”, he added. Moving to Australia? You Won’t be Seeing This Ad. Pamela Anderson has had her latest TV ad banned in Australia. The commercial was banned by Australia’s Advertising Standards Bureau. Pam, yes we’re on first name terms, appeared in the commercial for Internet Company Crazy Domains. The ad shows Pam as a smart businesswoman who strips off to reveal a gold bikini and has milk poured over her and a female colleague. The ad sparked hundreds of complaints from viewers, which prompted the Advertising Standards Bureau to take action. Fiona Jolly who is the president of the bureau said, “The ad is meant to be a cheeky, over-the-top depiction, but in the bureaus view it did cross the line.” Gavin Collins the managing director of Crazy Domains has accused “feminist bloggers” for the ban and he will be fighting the commercial being banned. I’m not sure what all the fuss is about as the gold bikini’s in the video are an obvious reference to an Australian tradition the Gold Coast Metermaids. The Surfers Paradise Meter Maids were introduced in 1965 by Bernie Elsey to help beat the bad image created by the installation of parking meters on the tourist strip in December 1964. This was a controversial promotion, using young women dressed in gold lame bikinis and tiaras, who strolled the streets of Surfers Paradise feeding coins into expired parking meters. They are still in operation and have become somewhat of an Australian icon. In Australia, employers are looking to sponsor Irish workers with certain skills and this is a priority for them. If you are an Irish tradesman in any of the following occupations, contact me now, there could be a Australia job opportunity for you. 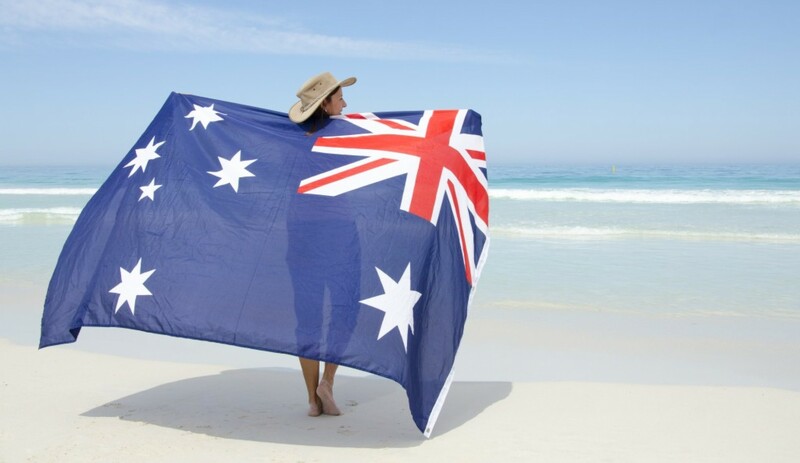 Generally jobs in Australia are difficult to come by if you don’t have a visa to take you to Australia in the first place, but for the trade occupations listed above, the Australian employers will sponsor you for an Australia visa as part of your job terms. With links to to a major Australian recruitment agency who can source quality jobs with a realistic goal of obtaining sponsorship as well as a job offer, we can assist you in the Australia job search process. Contact me now to get a set up a consultation for yourself to discuss your Australia job opportunities today.